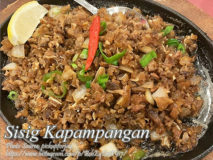 I have posted several kinds sisig in this blog and I think this version is not very different from the rest. 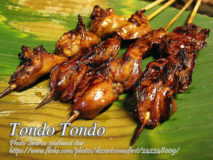 The only thing you..
A very special fried pork patties that have smoked flavor on the meat. 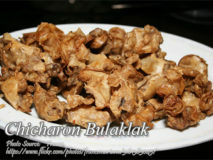 Pork is smoked first before grinding and mixing with the rest of..
Chicharon bulaklak is a popular Filipino appetizer usually served as “pulutan” served with either beer or other alcoholic beverages. 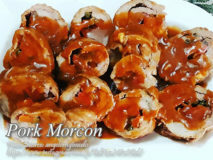 But you don’t have to drink..
Pork morcon is a pork version of the popular beef morcon. The traditional way of making morcon is using beef and thinly sliced until it..